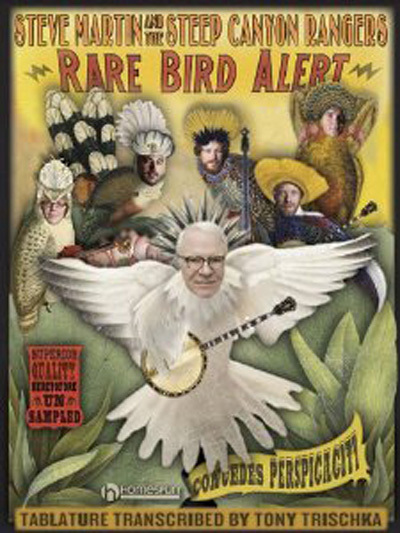 Steve Martin's latest CD (not included), Rare Bird Alert, has received raves from critics, fans and players alike. His 13 songs and sparkling banjo solos, in both clawhammer and three-finger picking styles, are whimsical and fun-filled, always beautifully crafted and superbly played. This new book features tablature and lyrics, and Steve has added brief instructions for playing each tune. Songs: Rare Bird Alert • Yellow-Backed Fly • Best Love • Northern Island • Go Away, Stop, Turn Around, Come Back • Jubilation Day • More Bad Weather on the Way • You • The Great Remember (For Nancy) • Women Like to Slow Dance • Hide Behind a Rock • Atheists Don't Have No Songs • King Tut.